Published on December 5, 2016 in Releases. 0 Comments Tags: competition, Dome Dash, Kids, Scitech, Titanium Studios. 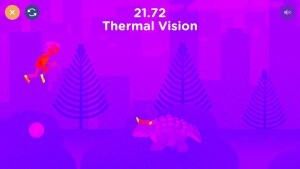 Scitech have a new online game called Dome Dash, which combines high-tech gear and old-world dinosaurs in a race to the finish. Created by local developer Titanium Studios, this one is fun, free to play, and there are special prizes for getting a highscore! Dinosaurs have escaped from Scitech and are rampaging through the streets of Perth! 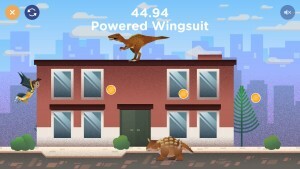 The race is on to get back to Scitech without being attacked by the ferocious dinosaurs.Use cool technology to avoid the dinosaurs, collect speed boosts, run faster and jump higher back to safety. Play multiple times, but only your fastest time will count towards winning great prizes! Get the highscore and win! 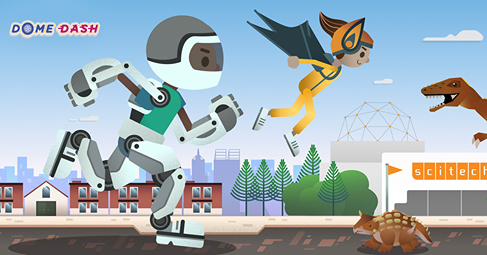 Kids with the highest scores for their age group (5-7 years, 8-11 years, and 12-15 years) win a 3D Printed Figurine + Scitech Discovery Shop Science Pack + a special Dome Dash Badge. The competition is on now, with one prize draw in February and another in May. Playing Dome Dash right now in your browser or on mobile via the App Store. The Let's Make Games archives for the titanium-studios tag.